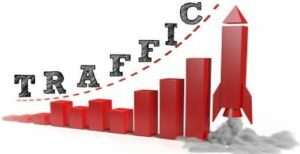 If you own a website then you need to know that every website needs traffic, as the purpose of a website is to deliver information or to perform a business action (Buy/ Sell) for your business. Lack of visitors to your website is not only a clear indication of disinterest in your offering or the information which you published is not reaching the Audience cause of missing simple steps, it could also be because you spent hours on research & writing content, proofreading the article and hitting the publish button but there was never an effort at marketing your blog posts. If you want your content to perform for you then you need to do much more than publishing a post on your site/blog. Why is it important to get visitors to your site important or is it necessary? Visitors to your site can be useful in various methods as the visitors can buy the products listed on your site or may click ads that are on your site. Visitors can also signup for your Newsletters to stay connected to your blog. It is important to bring visitors to your site to gain cash flow through your site & increase the online presence of the same. Daily Hacks on How to Improve Your Website Traffic: It does not really matter how many visitors come to your site every day because of your kickass SEO expert, All the effort of your team can go to vain if the content on your site is not good enough to keep them hooked, As let’s take an example here, when you are browsing on the internet then you get to visit some new sites based on your search & you randomly close may be 7 to 8 tabs before you stop on one site to read it, if your content is not unique & trending then you will eventually lose your visitors. Give your visitors what they are looking for as your website is targeting specific vertical & Research for the sort of content that people in your niche are looking for which can be specific to your industry or vertical. It is no surprise that long content posts & sites rank the most on Google. Do you know that Google loves & prefers lengthy articles? Let’s say that you are writing an interesting article to help startups to make their own websites on WordPress & you are preparing a tutorial. While you are in this process give the users step by step process as you know you easily cannot install WordPress as you need a Domain & a Hosting service to park the domain & publish your content. Give internal links & if you want to give some external links to help your visitors to know where they can buy domain & cheap hosting as if it is a startup then they are for sure looking for some discounted prices. In the next step give some infographics tutorials on how to link the Domain & Hosting with Nameservers etc. Also, guidelines on how to install the WordPress & the required Plugins to get started on publishing content. Going viral is another way to promote your business site. It is no rocket science for creating viral content & it is not difficult either if you have done your homework enough. An easy step is to get on to creating controversy, however, not everyone can afford this. Getting viral can open a portal of opportunities for your business site as visitors can come back to read the reactions on both ends & it can also create some good efforts for marketing. Linking internal pages from your own sites can be a good practice as the visitor can stay on site. This is one method to increase the Avg Sessions on your site. This method can also increase the page views on your site. When you are interlinking your site posts with hyperlinks to one another, you need to make sure that the topics are related to one another. This method can help you to keep your visitors engaged with your site content.